3rd generation winemaker Tony Coturri gets the grapes for his Carignane from 3rd generation grape growers, Testa Family and their 70 year old vines in Mendocino County. Carignane is a grape usually found in the Rhone region & southern France and is usually used as a blending grape. Less than 1,000 cases of this rare bottling are made. 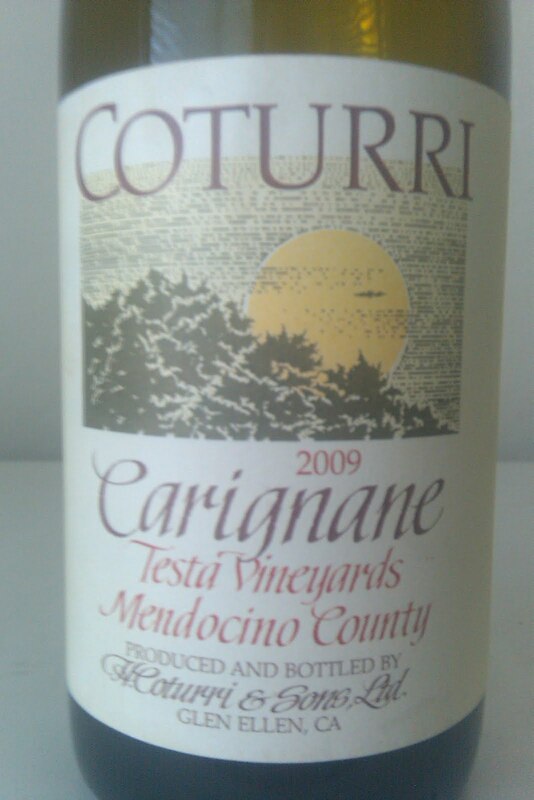 Coturri does not use chemical or additives on his wines & uses natural yeast and his wines are not filtered or fined. This gives the truest expression of the vineyard & terroir.